Aviation Partners has been making history since 1991, and made news in 2015 when the National Business Aviation Association awarded founder Joe Clark with its Meritorious Service to Aviation Award, a recognition of extraordinary lifelong professional contributions to aviation. Those contributions include decades of innovations and fuel-saving and performance-enhancing technology. It began with Blended Winglets™ for the Gulfstream II in the early 1990s, a performance enhancement that broke records. 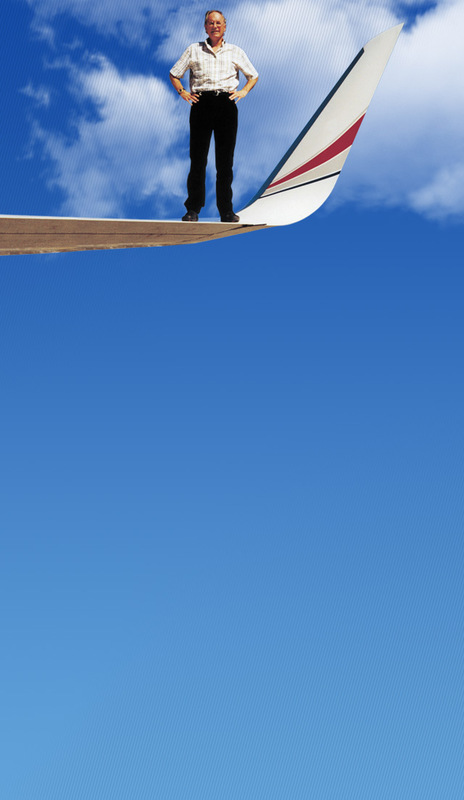 Aviator Clay Lacy knocked two hours off the Los Angeles to Paris World Speed Record in a Blended Winglet equipped Gulfstream II (or IISP) in 1995. The next year, Lacy established seven new time-to-climb records in the IISP, including a dramatic climb from sea level to 40,000 ft (12,000 m) in just six minutes and 20 seconds. One year later and Boeing Business Jets was onboard, and Blended Winglets quickly became standard equipment on the BBJ. Since then, Aviation Partners Boeing, a joint venture with The Boeing Company, was formed to offer the same Blended Winglets for 737NG airliners. 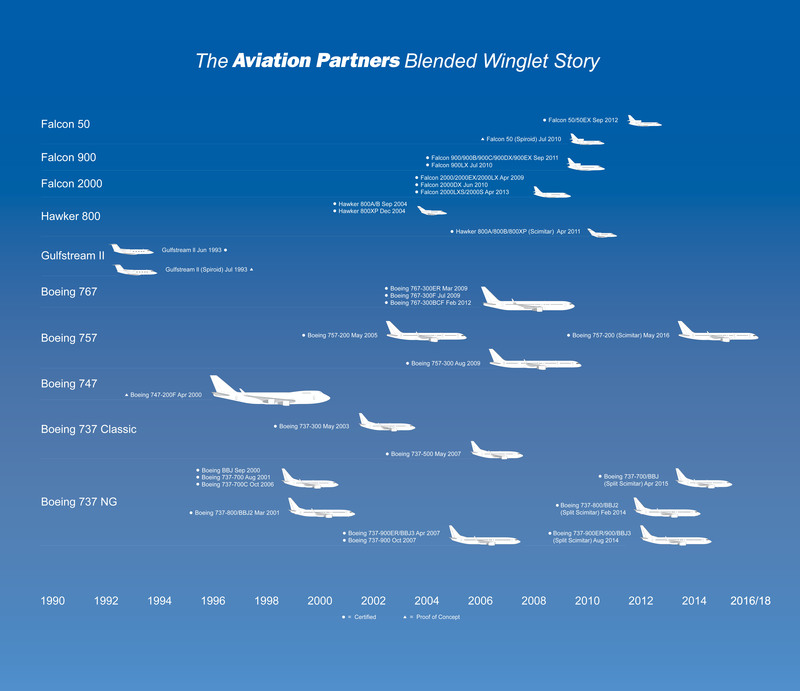 The joint venture subsequently developed Blended Winglet programs for the Boeing 737 classic, 757 and 767-300ER aircraft; and more recently the Split Scimitar™ Winglet for the 737NG, Aviation Partners Boeing has supplied Blended Winglet shipsets to more than 6,000 Boeing aircraft worldwide to date. Aviation Partners went on to offer its patented Blended Winglet Technology for the Hawker 800/800XP and Dassault’s popular Falcon 2000, 900 and 50 series aircraft. Aviation Partners is always looking at developing Blended Winglet Programs for additional makes and models of popular business aircraft.